Easter is almost here! There are a number of things to do during Easter weekend in Central Oregon, from Sunday brunches and Easter Bunny sightings to major community events like the Bend Marathon and the Earth Day Parade winding through downtown. 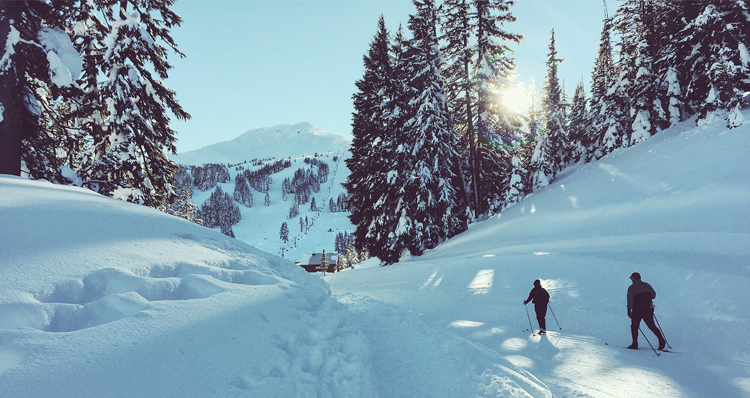 It’s a big weekend for Bend and its surrounding communities! 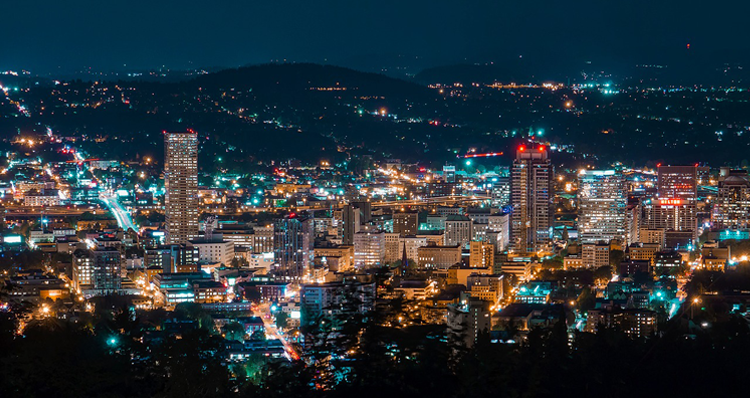 Take a look at the many events in Central Oregon we’re looking forward to. Sunday, April 20 | 9 a.m.
Sunriver Homeowners Aquatic & Recreation Center (SHARC) invites all little ones to their annual “Egg Dives & Duck Races” event on the Saturday before Easter. Come early to decorate your duck at the Sharpie Station, and choose to participate in either the egg dive or duck race — or just do both! The rubber duck races begin at 9 a.m. and the top racers will compete for the championship. 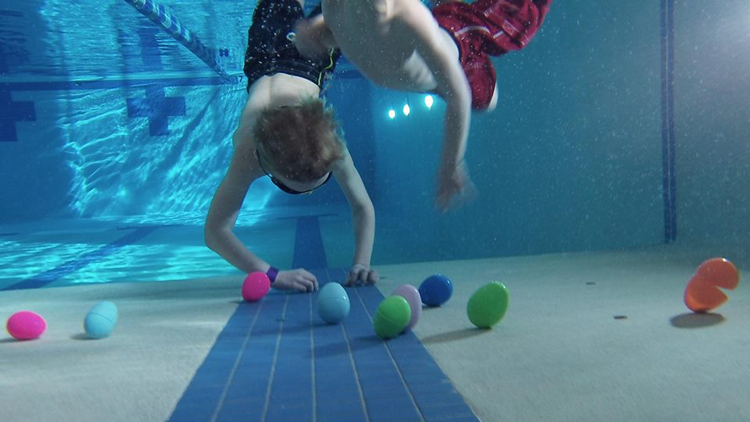 Kids can dive for weighted plastic eggs in the pool and redeem them for fun prizes at the underwater egg dives, which begin right after the duck races. Required pre-registration and payment can be made by calling 541-585-3147. Pay $10 to participate in either of the activities — or $15 for both! Sunday, April 21 | 8 a.m.–1 p.m.
Carson’s American Kitchen at Sunriver Resort is hosting their annual Easter brunch buffet, featuring all the traditional favorites of the holiday, including slow-roasted prime ribeye, eggs benedict, and an indulgent dessert station. The buffet is $55 per adult, $29 per child, and free for children ages 0–5. Call 541-593-3740 to make a reservation. 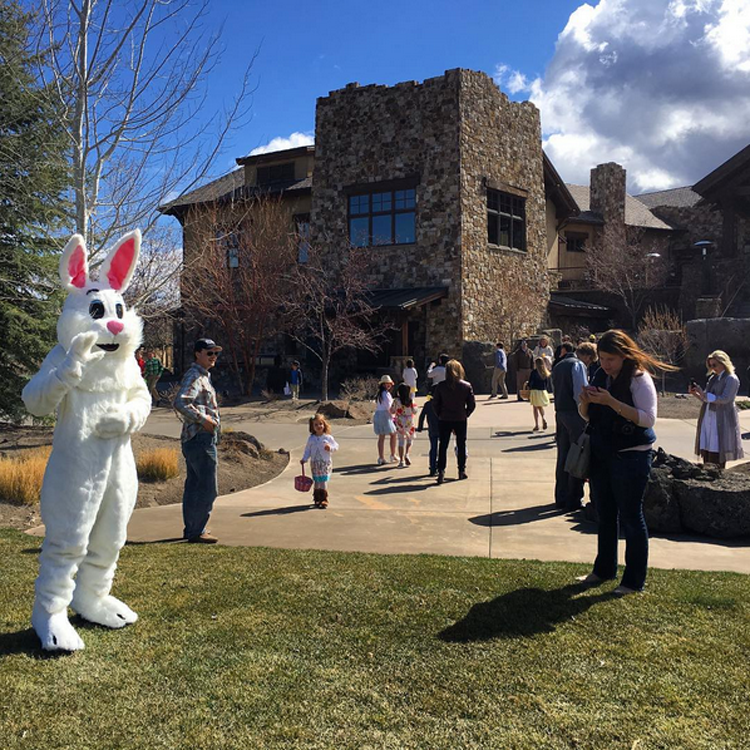 Sunday, April 21 | 9:30 a.m.–12 p.m.
After brunch, let the little ones run off their energy at the Sunriver Resort Great Easter Egg Hunt, which runs from 9:30 a.m. to noon. Search for eggs hidden all around the lodge and enjoy the various activities, including a petting zoo, bounce houses, face painting and more. 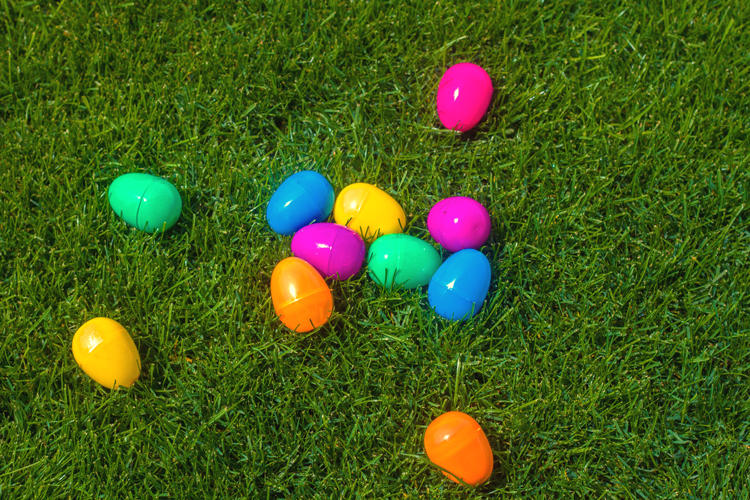 The egg hunt is $12 per egg hunter and children will be divided by age groups (ages 0–3, 4–6, 7–9, and 10–12). Sunday, April 21 | Seating at 10 a.m. The private Broken Top Club is hosting a special Easter Sunday Brunch at their Broken Top Restaurant, the onsite restaurant open to the public. Keep an eye out for the Easter Bunny hopping through while you eat — and bring your cameras to capture it all! The brunch cost $47 for members and $51 for non-members, $16 for kids ages 6–12, and is free for kids 5 and under. The price includes coffee, tea and soft drinks, and an additional 18 percent gratuity will be added to the total price. Seating begins at 10 a.m. and reservations can be made by calling 541-383-8200. Sunday, April 21 | 11 a.m.–3:30 p.m. Delight in a special culinary experience on Easter Sunday at Trailhead Grill at Pronghorn Resort, a luxury golf resort in northeast Bend near Redmond. See the full menu of offerings, which includes a soup and choice of salad, assorted cheese and fresh breads, a variety of special dishes and stations, and delectable dessert options. The brunch is $59 per adult and $18 for children ages 6–13. 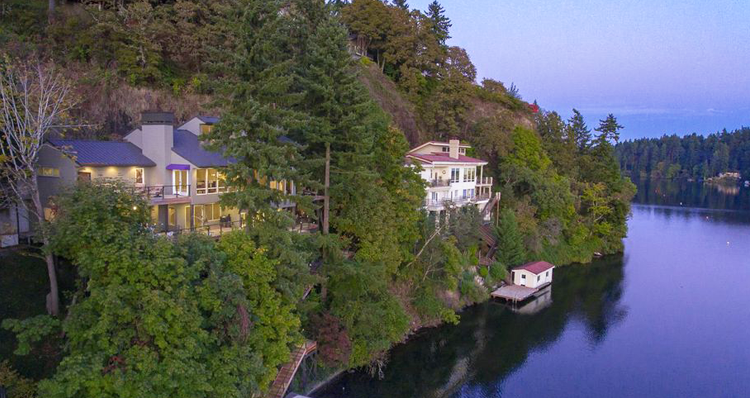 Reservations are recommended and can be made by calling 541-693-5300. While these events are not specifically geared towards Easter, they are certainly worth mentioning if you’ll be in Bend this weekend. 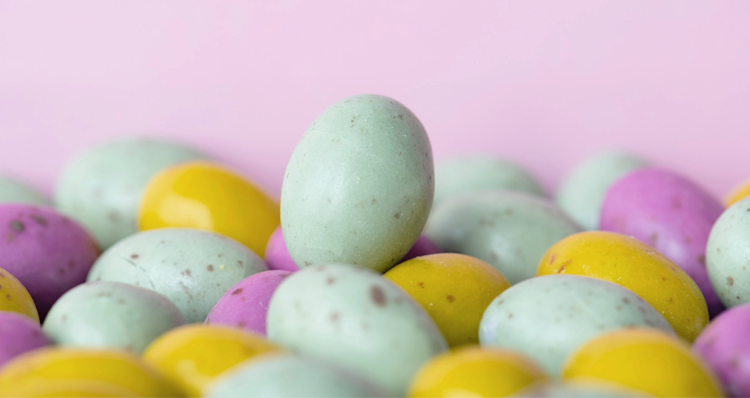 With Earth Day falling on the day after Easter and the annual Bend Marathon happening the day before, there’s no shortage of things to do in Bend on Easter weekend. Back for its fifth year under new, local ownership, the Bend Marathon features one of the most scenic courses in the country. The course winds through West Bend, showcasing neighborhood parks, ponderosa pine forests, river views and more. Celebrate the completion of either the full marathon, half marathon, 10K, 5K or the free kids’ race at the exciting afterparty, filled with kombucha, craft beer, delicious food, music and more. Register for the race of your choice to be a part of this exciting fitness event in Bend! 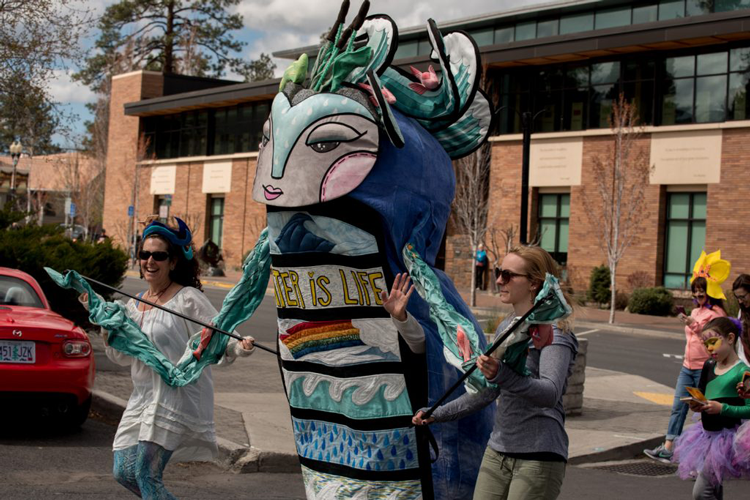 Celebrate Earth Day two days early at the annual Earth Day Fair & Parade in the heart of downtown Bend. This colorful celebration of the natural world features plenty of live music, local food, and family-friendly activities. The day’s festivities kick off with a colorful parade, complete with tunes from B Side Brass Band. Parade participants will assemble on Louisiana Avenue near McMenamin’s at 11 and the parade begins at 11:30, winding about eight blocks through downtown. Stick around for the action-packed fair from 12–3 p.m. on Kansas Avenue in front of The Environmental Center. Sunday, April 21 | 12–6 p.m.
Make your way to Va Piano at the Old Mill District for their special Sunday Funday event, which happens each Sunday from 12–6 p.m. Designed to keep you happy and hydrated, their “local yokel” specials include $1 off Worthy canned beer, $2 off local beer and cider on tap, $3 off wine by the glass, and $4 off cheese boards. What events are you looking forward to the most? Let us know in the comments below.